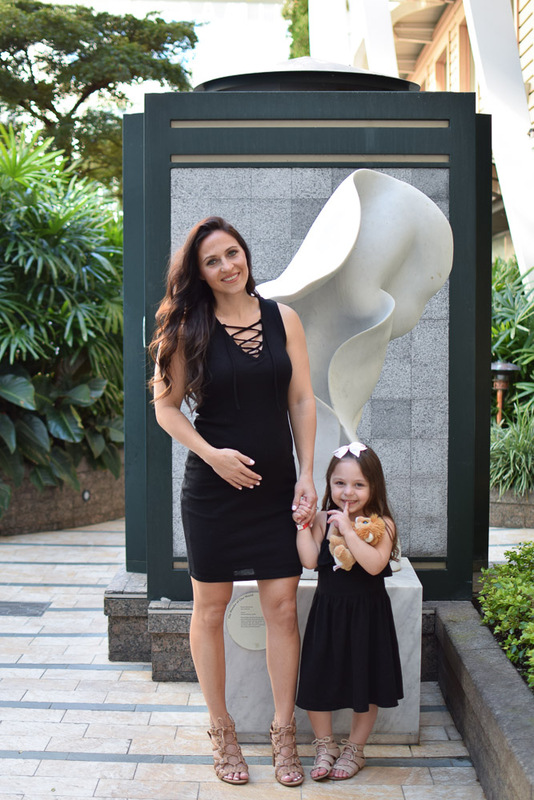 This maternity dresses post is in collaboration with Blush Pink Maternity. As always all opinions are my own. Hi friends! It’s been awhile since I’ve created a new post because we just got back from a 2-week long vacation! We had such a great time and I can’t wait to share a recap with you in the next few weeks. In the last month my baby bump has grown quite a bit! I’m now wearing maternity clothes and absolutely loving the options that are out there. My last pregnancy was 3.5 years ago and in that small amount of time the styles have changed SO MUCH. In a good way. I recently bought a pair of cropped skinny jeans that I actually like as much as my regular jeans. Although it’s still winter in NJ I knew it would be pretty hot on our vacation so I packed a bunch of maternity dresses. I personally think maternity dresses are one of the most comfortable things to wear while pregnant especially when they’re stretchy 🙂 Depending on the style they can be so versatile. I wore mine with flat sandals for a casual day but also dressed up with heels for a nice dinner out and they looked great both ways. Both of the dresses that I’ve linked above are from Pink Blush Maternity. They have the CUTEST maternity dresses I’ve yet to wear. They’re flattering, comfortable and affordable! 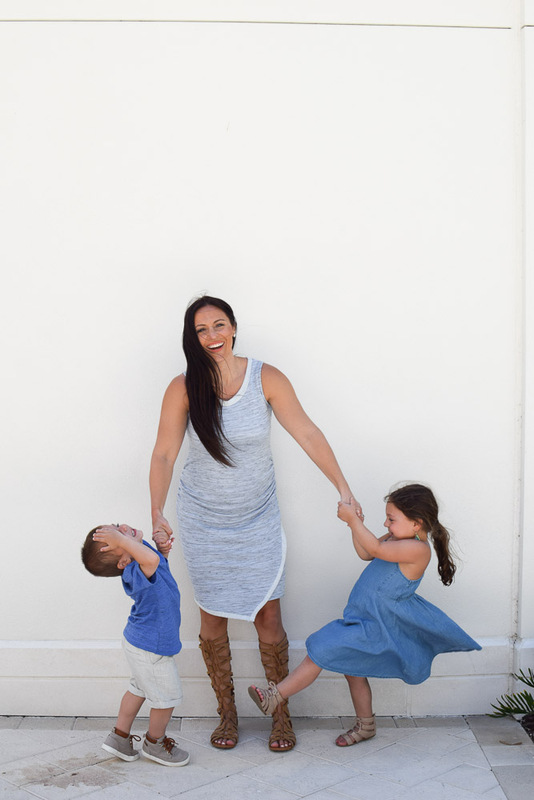 From March 16 – March 17 they’re having a sitewide 25% off sale with code GOBIG25 so if you’re in need of some maternity clothes I highly recommend checking them out. 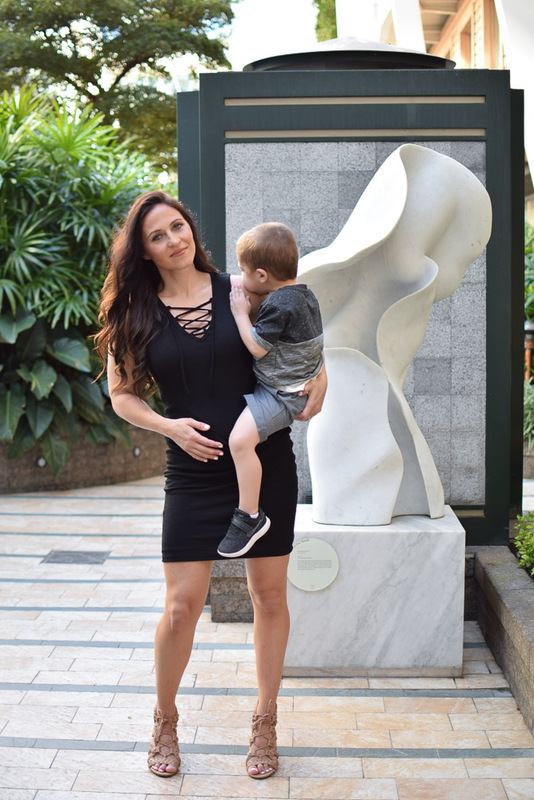 The black maternity dress doesn’t have ruching at the sides but its super lightweight and very stretchy so you don’t even need it. The lace up detail in the front is just enough without showing too much skin and the length was perfect for me (I’m 5’4″ and wearing the size small). The blue maternity dress is a bit looser and will fit me better as I get bigger. Right now I’m only 4 months so some of my maternity clothes are still a little big. The material is really soft, a thicker material then the black dress and it also has ruching on the sides. I’m wearing a size small in the blue dress as well. If you’ve taken a look at my instagram you know I’m all about coordinating my outfits with my babes! Although I like to coordinate our outfits I don’t think it’s necessary to match EXACTLY. For the most part when I plan an outfit to coordinate with one of theirs we’re often just wearing similar colors, not the same exact piece. Try to keep patterns to a minimum. You can probably tell that I’m not a huge fan of patterns anyway and maybe this is why I feel this way. But, I feel like they can just be too messy and busy. I prefer solids and think it’s much easier to coordinate other items around them, especially when they are multiple people. Lay the pieces out next to each other to see how they look together. It might seem like common sense but it’s really just the best way to really see if pieces will look good together AND next to each other. Sometimes we can’t fully visualize what outfits will look like until we see them as a whole. Choose practical pieces when coordinating with kids. I don’t know about you but my 3 year old son is a runner. Unless my husband will be with us there is no way I can wear heels. Whenever I plan to coordinate outfits with him I also plan to either have my husband around OR I wear sneakers! Choosing practical pieces for kids always ends up working out better anyway because when they’re not comfortable they’re cranky! Give yourself time to prepare. If you’re planning to coordinate outfits for a particular day/event (baby shower, birthday party) be sure to give yourself enough time. Sometimes finding that exact piece in that exact color doesn’t happen overnight. You don’t want to be scrambling at the last minute because everyone has a matching outfit but your daughter doesn’t have shoes to wear! That’s it! There’s not much to it. Coordinating outfits can be very simple if you follow these few tips. I’ve enjoyed coordinating outfits with my son AND my daughter over the last few years and I can’t wait to do it all over again with baby no. 3! Where do you like to shop for maternity clothes? 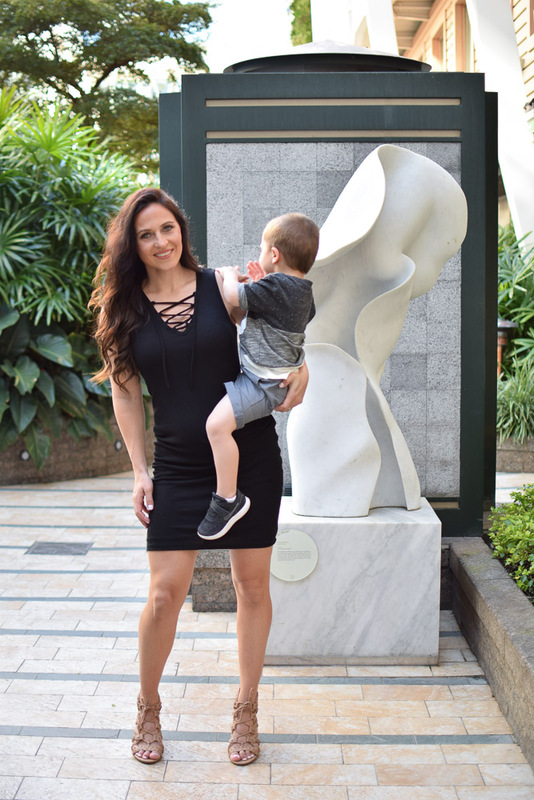 Do you love wearing maternity dresses?